So I'll make a short suggestion list below in a few categories for your delectation. Do with them what you will. Feel free to add your suggestions in the comments below. And happy holidays! Friends of Family Farmers Great folks working to bring together farmers and citizens to shape and support socially and environmentally responsible family-scale agriculture in Oregon. Organic Seed Alliance Helping farmers, plant researchers and seed advocates work together to ensure that our organic food supply is healthy, resilient, and adaptable. The Portland Kitchen Changing the lives of underserved youth through food and cooking, helping them create healthy lifestyles, get meaningful employment and become great citizens of our community. The Pongo Fund Providing quality food and vital veterinary care for the family pets of anyone in honest need, keeping them safe, healthy and out of the shelters. Zenger Farm A working urban farm that models, promotes and educates the community about sustainable food systems, environmental stewardship, community development and access to good food for all. 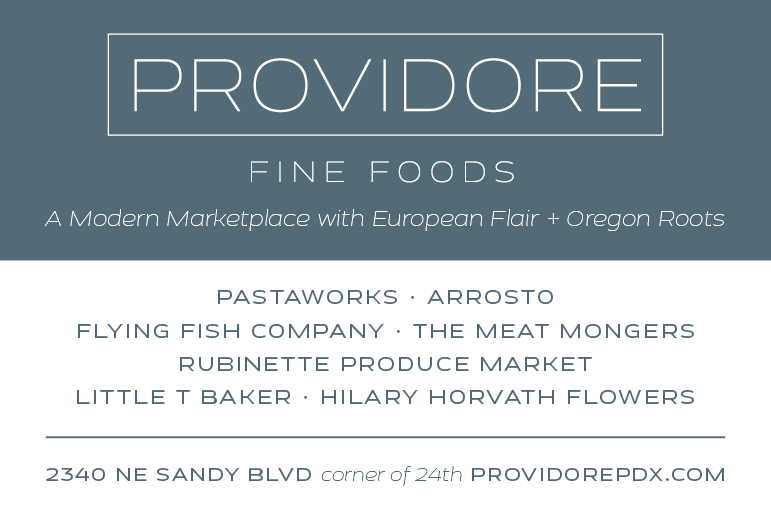 Providore Gift certificates from this store will be the bomb. Choose from Rubinette Produce, The Meat Monger, Flying Fish or Pastaworks. All delicious, all the time. Old Salt Marketplace* Meat lovers will celebrate with a gift certificate for anything in their butcher case and the foodies will love their lunch, brunch and dinner offerings. Plus they've got charcuterie packs for stocking stuffers and classes galore! Hopworks Urban Brewery* More gift certificate goodness. Beer, pizza, lotsa merch, with three locations (helloooo Vancouver! )—and it's all organic and BCorp certified. Good guys. 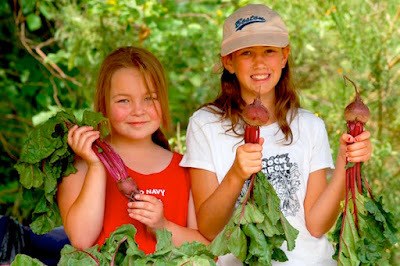 Portland's Culinary Workshop Cooking classes for all ages, all skill levels, all cuisines. Just browsing their class offerings is inspiring. Gift certificates for any amount, never expire! Turnip the Heat Cooking School Kids will love Joanna Sooper (an elementary school teacher is her regular gig) who's committed to helping kids learn about—and love—fresh, delicious food. I know from personal experience! Gift certs available. * Old Salt Marketplace and Hopworks are sponsors of Good Stuff NW. And fantastic, local, ethical businesses, at that.